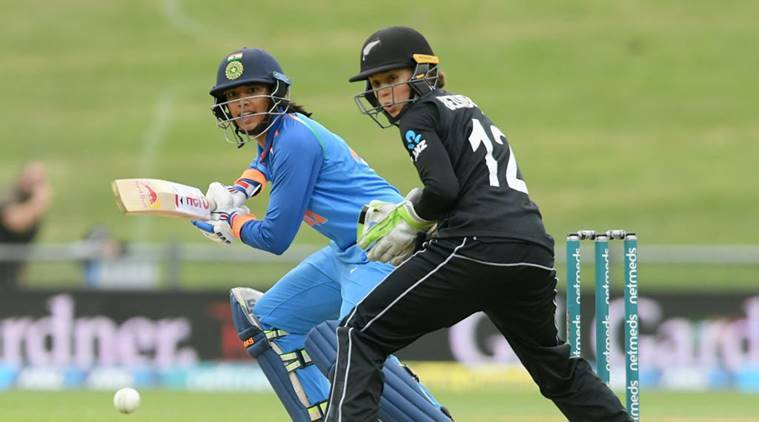 Smriti Mandhana struck a half century in just 24 balls in the 1st T20I against New Zealand at Westpac Stadium in Wellington. India’s opening batswoman Smriti Mandhana on Wednesday hammered the fastest fifty for India in Women’s T20Is. The left-handed batswoman struck a half century in just 24 balls in the 1st T20I against New Zealand at Westpac Stadium in Wellington. In doing so, the 22-year-old bettered her own record of a fifty in 25 balls, which she created last year against England. Among all the players, Mandhana lies in the 6th position in the list of fastest fifties. New Zealand’s Sophie Devine holds the record of the quickest half century in women’s T20Is. She set the record in 2005 against India when she hammered an 18-ball fifty. She was eventually dismissed for 58 runs in 34 balls after she tried to hit a slow delivery from Amelia Kerr for a six. A brilliant one-handed catch in the deep by Hannah Rowe cut short her innings. Earlier, India women had won the toss and elected to field. On the back of Devine’s 62-run innings, New Zealand managed to reach 159/4 in 20 overs.